After the huge success of raree rareeram raro, the malayalam channel asianet plu announced its second season. Raree Rareeram Raro Season 2 is inviting entries now. You can now apply for Raree Rareeram Raro Season 2015 Audition. You can send your entries to be a part of the season 2 of Raree Rareeram Raro. This Show is For Mothers and Babies With The Age 1 Month to 3 Years. Johnson’s Baby is The Sponsor Of The show Raree Rareeram Raro. Send Your Bio Data and Photos To The Following Address. For More Details About Raree Rareeram Raro Season 2 Show Contact Mobile Number Is 9946666593. 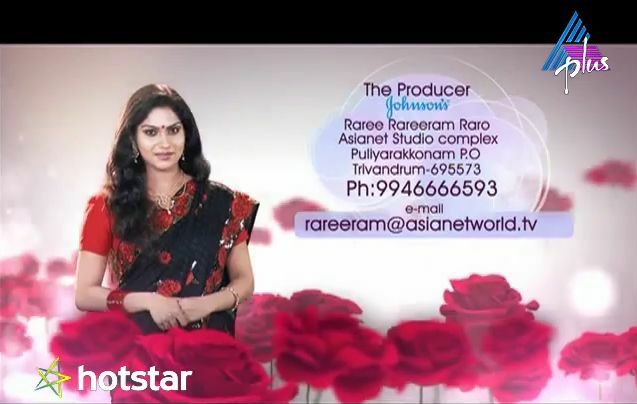 We will update the launch date, telecast time and other details of The Show Raree Rareeram Raro On Keralatv.in. Sell me the answer is the latest game show coming on Asianet. We have already reported that Sell me the Answer is starting from 22nd June 2015 at 8.00 P.M.